The company plans to double down on search, Mail and Tumblr in hopes of attracting new users, and at the same time close some digital magazines as well as services like Games and Smart TV. After the job cuts, Yahoo will have a global workforce of about 9,000 employees—40 percent smaller than it was in 2012, it said. “This is a strong plan calling for bold shifts in products and in resources,” CEO Marissa Mayer said in a statement. The goal is to cut $400 million from Yahoo’s expenses by the end of 2016. Yahoo will also explore selling off “non-strategic assets” that it said could raise it $1 billion in cash. It’s the latest effort by Mayer to placate shareholders while she tries to turn Yahoo’s business around and get it back to growth, something she’s been working on since taking the helm more than three years ago. But investors are getting impatient. While it puts the new plan in action, Yahoo will continue to explore spinning off its core Internet businesses as a separate company, something it said it was considering in December. The idea is to separate those businesses from Yahoo’s stake in Chinese Internet giant Alibaba, which is seen as most valuable to investors. 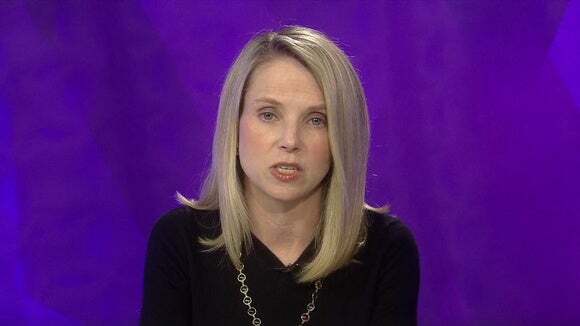 Yahoo announced the news along with its earnings for the fourth quarter. Revenue was virtually unchanged year over year at $1.3 billion, but profit fell precipitously, from $166 million last year to a loss of $4.4 billion in the most recent fourth quarter. Most of that loss was due to a massive goodwill impairment charge, which basically means that Yahoo concluded its brands are worth much less than before. On an adjusted basis, earnings were in line with what analysts had been expecting, and revenue was slightly better. “In 2016, a smaller product portfolio emphasizing Yahoo’s core strengths will yield better focus, execution, and ultimately clearer value to shareholders, advertisers and users,” Yahoo said. The goal is to play to the company’s strengths, get users to spend more time on products that have traditionally done well, like Mail, and save money by cutting those that have underperformed. Mayer left Google to take over Yahoo nearly four years ago. She’s spent heavily on numerous acquisitions, including that of Tumblr, and on hiring star power like the news presenter Katie Couric, but it’s failed to bring Yahoo much growth. Revenue during the quarter before Mayer took over was $1.1 billion, not much below what it was last quarter.